How do you make sense of a graph that you have never seen before? 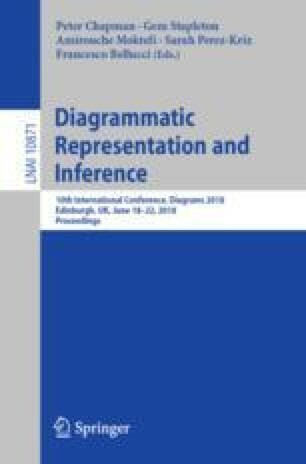 In this work, we outline the types of prior knowledge relevant when making sense of an unconventional statistical graph. After observing students reading a deceptively simple graph for time intervals, we designed four instructional scaffolds for evaluation. In a laboratory study, we found that only one scaffold (an interactive image) supported accurate interpretation for most students. Subsequent analysis of differences between two sets of materials revealed that task structure–specifically the extent to which a problem poses a mental impasse–may function as a powerful aid for comprehension. We find that prior knowledge of conventional graph types is extraordinarily difficult to overcome. Sincerest thanks are offered to research assistants Evan Barosay, Kai-Yu Chang and Hazel Leung, as well as Drs. Seana Coulson, David Kirsh, Rafael Núñez and Caren Walker.